Then There Was You (2017) by Kara Isaac is a stand-alone novel. This novel comes in all forms including eBook, and is 343 pages in length. With a full-time job and a full-of-life five-year old, I read this book in 2 days. I give this novel 5+ STARS. This book is a Contemporary Christian Romance. Josh Tyler fronts a top-selling worship band and is in demand all over the world. But his past failed romantic relationships almost destroyed both his reputation and his family. He’s determined to never risk it happening again. The last thing he needs is some American girl tipping his ordered life upside down. Especially one who despises everything he’s ever worked for and manages to push every button he has. Click HERE for Amazon’s deals on Then There Was You. I LOVE this book. I mean, I really love this book! If you do not have a copy of this book, I recommend you go buy a copy immediately. If you have Kindle Unlimited, it is currently FREE right now!!! This is the first novel I have read by Kara Isaac, but it will most definitely not be my last. In fact, I’m probably going to spend a little money today in honor of #NationalBookLoversDay and buy all of her novels so I can devour those, too! I cannot fully express in words how great this book is…but, I will try! LOL! First, I absolutely love the main characters, Josh and Paige. Truly, they are two of the most genuinely written characters I may have ever read. When you read the premise, you may think to yourself, “Ok, sure! How do I relate to a Christian rock star?” I could see how I might be able to relate to Paige, but was worried that Josh would be a little too “rock-star” arrogant and phony. He is absolutely not. His character is very believable and very swoon worthy! And, Paige!!! Oh my goodness, I love her. She is so down to earth and so real. Her insecurities, her fears, her lack of motivation — all so real. And, what these characters have gone through in the past makes them even more genuine. When you get to the character backstories, make sure you have a box of tissue nearby because you will need them. I have not wanted to hug two people more after reading their stories than I did after reading this novel. But, the drama is not the only part of the story that catches your attention from page 1. This book may be one of the funniest novels I have ever read. That box of tissue you have for the sad moments…you may need it for the funny moments too! There are many scenes throughout the book that left me rolling with laughter, but the “drop bear” scene will have you dying with laughter. Most of the comedic moments in this book are Paige’s doing. She may be the funniest character I have ever read. The situations she finds herself in are hilarious. Seriously, buy the book now simply for these great comical scenes! If I had to find a flaw in this novel, it would be with the editing. I don’t know if it is just the eBook version, or all versions, but I did notice a few errors. Sometimes a word was missing, sometimes a wrong word was in a sentence and it didn’t make sense so I would have to reread the line to figure out what word Ms. Isaac actually meant, and sometimes there would be repeated words. But overall, this was minimal and not enough to take me out of the story. The settings, the characters, the comedy, and the emotion far outweigh a couple of mechanical and grammatical errors. I still fully recommend this novel… and, don’t forget a box of tissue to go with your reading! 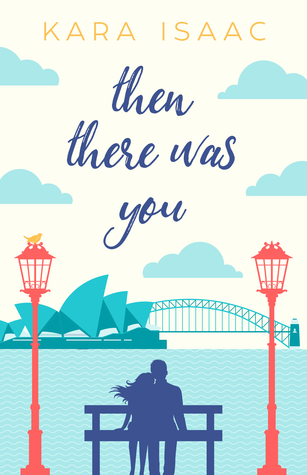 This Friday, for #FirstLineFridays, I will be showcasing Then There Was You. I hope you will tune in on Friday. The first line of this novel is brilliant! I have a paperback copy of this and it really does look good! Thanks Nicole for the review. Now to my growing TBR heap! You will not regret the read. This book is excellent!!! I didn’t take notes while I was reading. I can read it again if you want. There weren’t a lot of errors. Just a few lines, and I don’t remember page #s. I’m sorry. That’s probably really annoying. Thank you so much for your support! I hope you enjoy Close To You and Can’t Help Falling just as much 🙂 No need to re-read. I’m sure sooner or later someone will let me know where they are 😉 Have a great weekend! Hello Kara. I just wanted to say how cool I think it is that you took the time to thank this blogger. I read all of her blogs and follow her recommendations…. She knows good books when she finds them. I too loved the scene about the Drop Bears…. Absolutely hilarious. I look forward to your other stories. Thank you for taking the time to write these stories for all of us to enjoy.